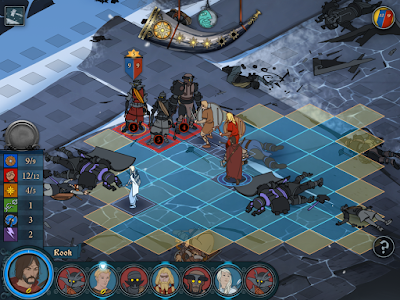 The Banner Saga created by Stoic. - What's this? A new protagonist? You're now Juno for a little while - remember that dead body you abandoned a while ago, when you found Eyvind? 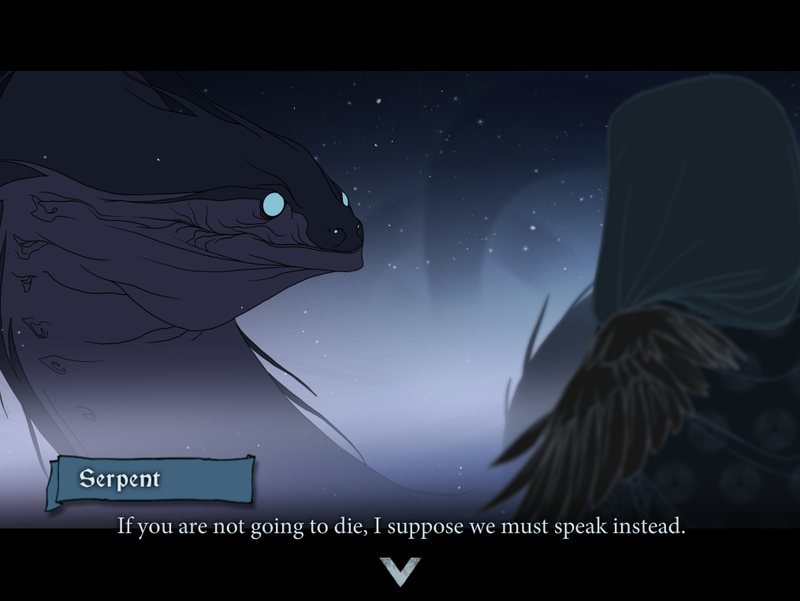 - and you're confronting the serpent that's scaring the bajeezus out of everyone. Regardless of how you respond to its questions you'll wind up back at the original party after the exchange. - Back to Rook. You now have some questions for Eyvind. Ask as many as you want. Eyvind will then decide to set out - and to save the varl, he wants to destroy Einartoft's bridge to stem the dredge pursuit. - IMPORTANT DECISION. Back to town. You're facing a choice: either Leave through the west side of town... or destroy the Bridge on the east side of town. You can speak to Jorundr about Iver, if you wish, though if you ask him about the Bridge he'll go a bit crazy. This opens up a new option: Fight on Bridge, along with the rest of the varl. You can also Leave, if you wish... though Krumr leaves your party if you do. Overwhelmed? A little, but despite the enemy numbers this battle is not nearly as bad as it seems. The key here is to use the enemy's weapons against them, namely the bombs of the Slingers. Deploy a few Armor-heavy units to the front lines and create a perimeter to stop the two Stoneguards. They'll come in and start attacking, but they don't hit terribly hard. Once they're in place the Slingers will hurl bombs. Back off sufficiently and the bombs will only hit the baddies. Wipe out the Stoneguards, then spread out and start taking down the Slingers one-by-one. They hurt, but they're far from invincible. - If you attack the Bridge and allow Eyvind to do his thing, you'll face another battle - this time against a group of varl. You can give up or help Eyvind. If Fasolt was your buddy before, he sure isn't now. Oh, wow. Five varl. That's harsh. This is not an easy battle, but it can be won. (Just not by me, apparently.) All five of the varl can hit really, really hard, the Strongarms in particular. You need to take advantage of their lower movement speed and large size by remaining mobile, weaving between the varl to keep them away from your characters in large numbers. Have a strictly defensive character (Egil, perhaps?) throw up a Stone Wall while everyone else attacks, taking constant advantage of Rook's Mark Prey ability. Your first target is Fasolt himself, as he can force your characters to attack him and mess with your turn order. After that it's a matter of taking the varl on one-at-a-time. Painful, yes, but possible. - Whether you win or not, bring down the Bridge or leave it standing, you're out of the city. Sigh. Well, that was fun. - If you choose to defend the Bridge rather than bringing it down as Eyvind suggests, you'll get the chance to fight three successive battles against the dredge. On the first day you can opt not to fight and mend to the wounded instead. - Same on the second day, though instead you'll be removing bodies. If you decide not to fight this time, Egil will get killed. Assuming he hasn't died already. - Fasolt will kick the bucket if you stick around for the third day, but Iver will show up to take his place in your ranks. One arm never stopped nobody. You'll have to face the dredge in this third battle. If you stick around long enough to see this day, and complete the accompanying battle, Jorundr will allow you to destroy the bridge. 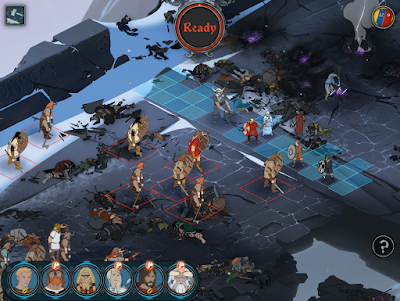 You'll also gain a nice little posse of varl to take on your journey, which begins... right now. If you fight all 3 days on the bridge and fasolt dies(?) will he still show up in the second game? He does return, no worries. If you import your game into BS2 than fasolt probably will not return.